The Time Tunnel is an American colour science-fiction TV series, created by Irwin Allen. The show follows the adventures of scientists Tony and Doug, who have been inadvertently trapped inside the time tunnel, a top-secret experimental time machine created by the U.S. government. They travel randomly backwards and forwards in time visiting the sites of many important historical events. The tunnel’s operators frantically try to retrieve them. A pilot for a new series was produced in 2002, but did not proceed to a series. 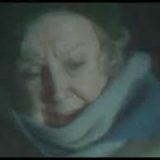 Foggy Night – On an exceptionally foggy night, Stan refuses to carry on with his journey unless someone walks in front of the bus with a torch. 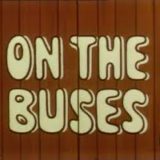 Olive gets caught short and somehow brings a cow onto the bus. Meanwhile, Blakey gets ditch-water in his boots before the fog clears. The Nursery – The bus company opens a creche, run by a formidable elderly nurse. 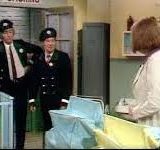 Stan suggests that Olive might be suitable as the nurse’s assistant. Olive is not especially competent and then she breaks her glasses leaving Stan and Jack to look after the babies for her.